Whether at the beginning of a thrilling love story or as an expression of deep love, flowers can be poetic, passionate and loving. 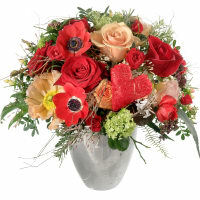 Everybody is happy about it, especially on Valentine's Day and particularly when they come from a loved one. 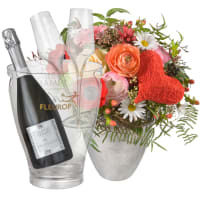 "With this bouquet I thought of love and passion, but also friendship and affection," reveals master florist Marc Müller. 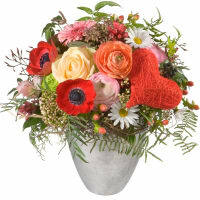 "Because flowers always convey feelings.” Of course the colour composition and the integrated heart do the same. But see for yourself.